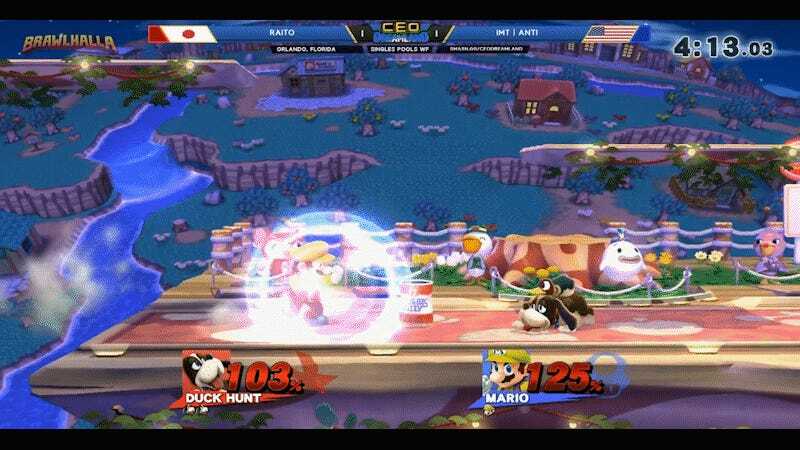 The snarky pup from Duck Hunt isn’t the most common competitor in Smash 4. Though he has his defenders, players like Raito have had to work to show that the dog’s D-tier ranking doesn’t prevent him from taking games off the best of the best. At CEO Dreamland, Raito and other Duck Hunt Dog players are having their day. 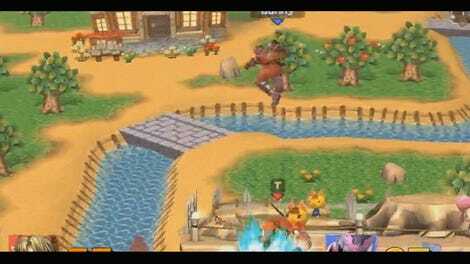 In his pool, Raito took down players like Dyr and Jason “ANTi” Bates, the latter of which he knocked into the lower bracket with an incredible 2-stock round. Duck Hunt Dog is a strange character, not just because he’s the fighting game version of an animal meant solely to ridicule you, but he uses exploding cans to control the stage, flicking them around with gunshots. Clever usage of these cans gave Raito an upper-hand, allowing him to set up combination attacks on players not prepared to deal with them. Advancing into the winner’s side of the top 48, Raito will be contending with even more top players. Having drawn blood on one of the best Mario players in the world, he can’t be feeling anything but confident. Raito wasn’t the only one; another player, Dandy Penguin hailing from North Carolina, is relatively unknown on the international stage. According to followers, he doesn’t travel often, but he showed up strong at Dreamland, taking down Melee pro Jason “Mew2King” Zimmerman off-stage before falling to James “VoiD” Makekau-Tyson. Penguin wasn’t done yet though, and fought through opponents like Seraph to earn a spot in the top 48. While it’s great to watch the best of the best play, seeing two players like Raito and Penguin both show off on their dog of choice at Dreamland has been spectacular. It doesn’t just create a compelling storyline for the folks at home to follow, but it provides an opportunity for these players to showcase their tech and savvy on an international level, potentially inspiring others to take up the Duck Hunt mantle. Here’s hoping these dogs can still hunt when top 48 play kicks off later tonight.